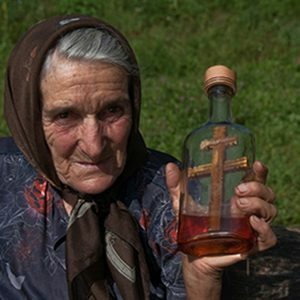 Rakija, a type of brandy, is the quintessential alcoholic beverage of the Balkans. No house in the region is without a bottle ready to welcome guests, accompany meals and mark the rhythm of the days and the seasons. Not all rakijas are created equal, however. A truly excellent brandy requires quality ingredients and enough expertise to be able to tend to every aspect of the production process, down to the smallest details. This is where the art of the master artisans – the “majstor rakije” – comes in. The Serbian region of Šumadija has long been known for the quality of its plums. There is one ancient variety, known as Crvena Ranka (literally “early red”) that is particularly suited to making rakija. This variety is only grown in the rolling Gledić mountains that separate the cities of Kraljevo and Kragujevac. Here, the variety survived the sharka virus (plum pox) epidemic, which followed the introduction of the Stanley variety from America. Like many rural areas in the Balkans, these green valleys are gradually being abandoned due to the lack of employment and development prospects. Many deserted houses line the road that leads to the village of Gledić, a small paradise where those who do remain live in complete harmony with nature. Orchards and small plots for grazing livestock or growing crops are intersected by little streams and interspersed with groves of oak trees. “For us, plums are the center and the base of everything: rakija, the fruit compote called slatko, desserts, prunes…” says Dejan, a young distiller who, together with his wife Dragana, has united a group of 35 local producers to create the “Crvena Ranka” association. The association links producers and distillers of Gledić rakija, with the aim of reviving the production of quality rakija and making it a driving force for sustainable development in the whole area. Clearly, they are on to something: Gledić rakija is already a small artisanal treasure, the result of centuries of meticulous tradition. Crvena Ranka plums are picked at the end of August and left to ferment whole in ancient wooden vats for up to two months. A first distillation produces a “soft” rakija with an alcohol content of around 30%. The second distillation takes place after an initial aging of two months in oak barrels. 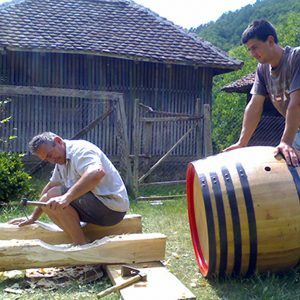 Around 100 liters of soft rakija are distilled down to make 50 liters of the brandy known as ljuta (meaning “spicy” or “angry”). During the distillation, the initial part (the first liter or liter and a half, methanol-rich and toxic) and the last part, the tail, (overly acidic, poor quality and used to make second-rate spirits) are discarded. The rakija usually ages for 12 months in old barrels before being bottled and sold, though some producers still preserve bottles from old vintages from 25 or even 30 years ago, which offer astounding depth and elegance. The result is a spirit of the highest quality, pale straw-yellow in color but becoming more golden if aged. The taste is clean and deep, with notes of fruit and vanilla. The rakija is usually drunk at the start of a meal, together with meze, little plates of preserved vegetables, meat and cheese, and pickles. 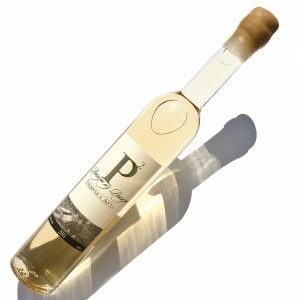 The Presidium was started to support the efforts of the Gledić “Crvena Ranka” Rakija Producers’ Association to produce a high-quality, artisanal product with a clear identi- ty on the market. To do this, the Presidium will work to ensure the production facilities are registered and meet hygiene standards, so that the product can be sold nation- ally and abroad. The project also aims to involve new growers and distillers, and will support the association’s lobbying for national legislation that distinguishes between the rules applied to large-scale and small-scale producers, and for the granting of adequate exemptions that allow the survival of traditional, artisanal food production.